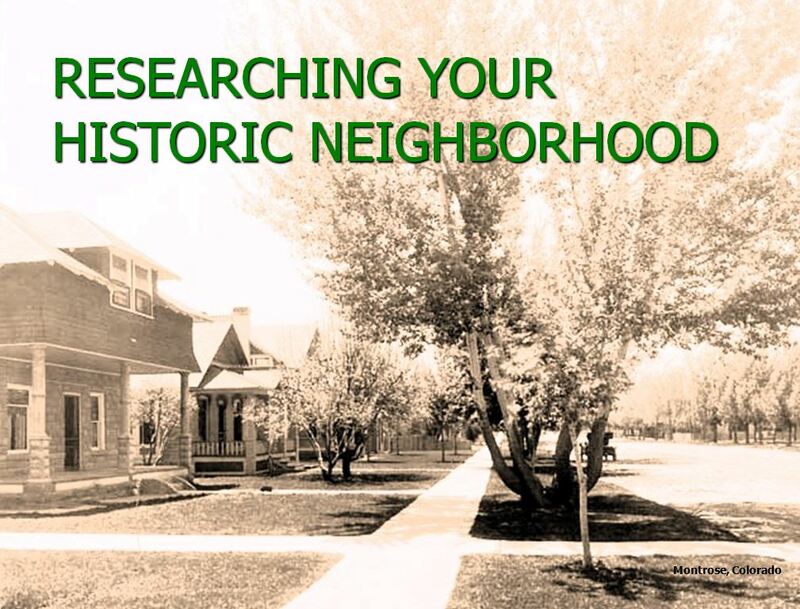 Publications/Presentations - Front Range Research Associates, Inc.
We have authored articles and booklets related to various historic preservation projects and have presented several times at the annual Colorado Preservation, Inc., meeting and other forums. 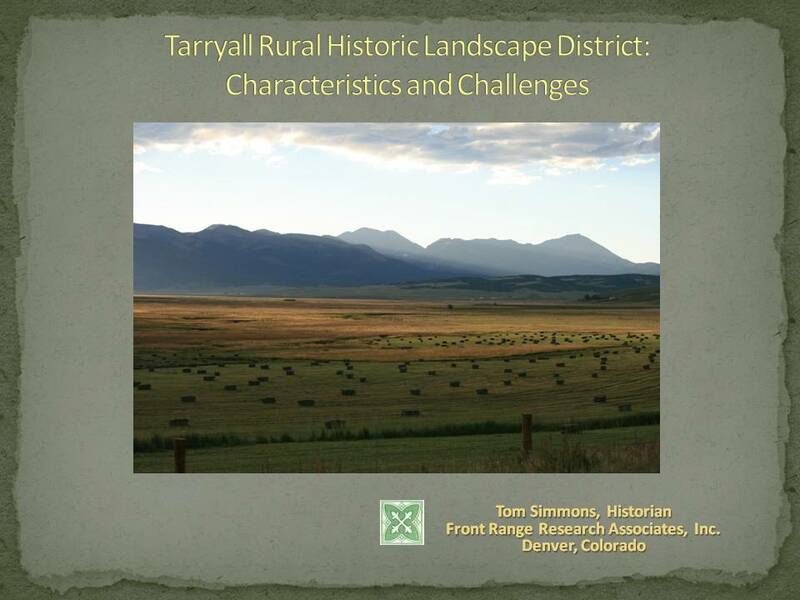 Linda Balough (South Park Heritage Area), Jon Horn (Alpine Archaeological Consultants), and Tom Simmons (Front Range) discussed the Tarryall Rural Historic Landscape District, a 28,000-acre, 39-mile area in Park County, Colorado. Tom addressed some of the challenges involved in preparing a National Register nomination for an area of this magnitude with diverse resource types and how a project geographic information system proved of great value. 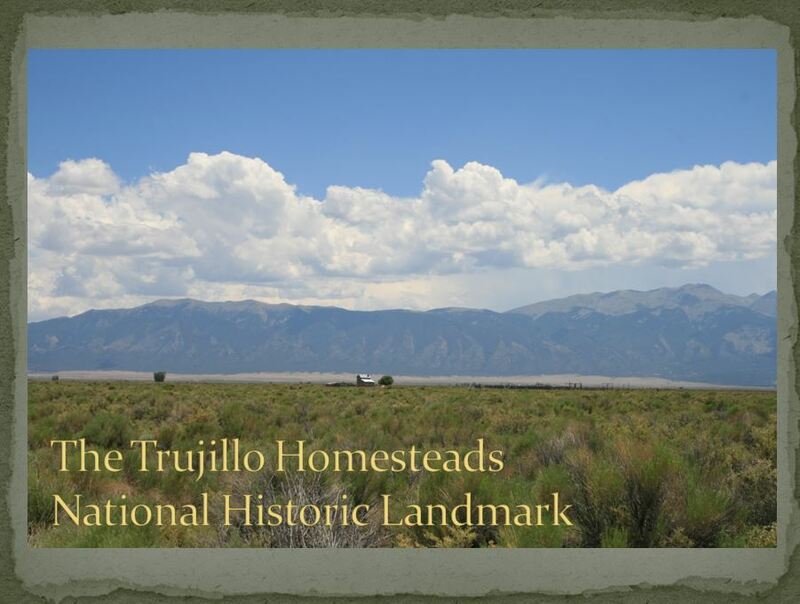 Tom Simmons of Front Range joined Kathy Faz (National Park Service, Great Sand Dunes National Park and Preserve) and Marilyn Martorano (RMS Consultants) to discuss the significance of Trujillo Homesteads at the 2013 Colorado Preservation, Inc., annual conference. The homesteads in Alamosa County, Colorado, were designated as a National Historic Landmark in January 2012. 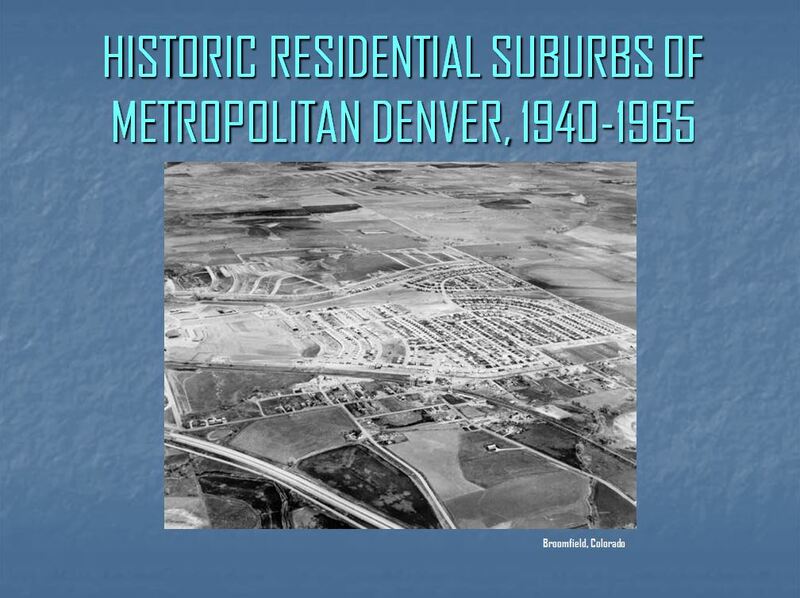 Tom Simmons of Front Range provided highlights of the data produced by the Historic Residential Suburbs of Metropolitan Denver MPDF project as part of the panel presentation: :A Tale of Four Cities: Postwar Fort Collins, Boulder, Denver, and Pueblo." 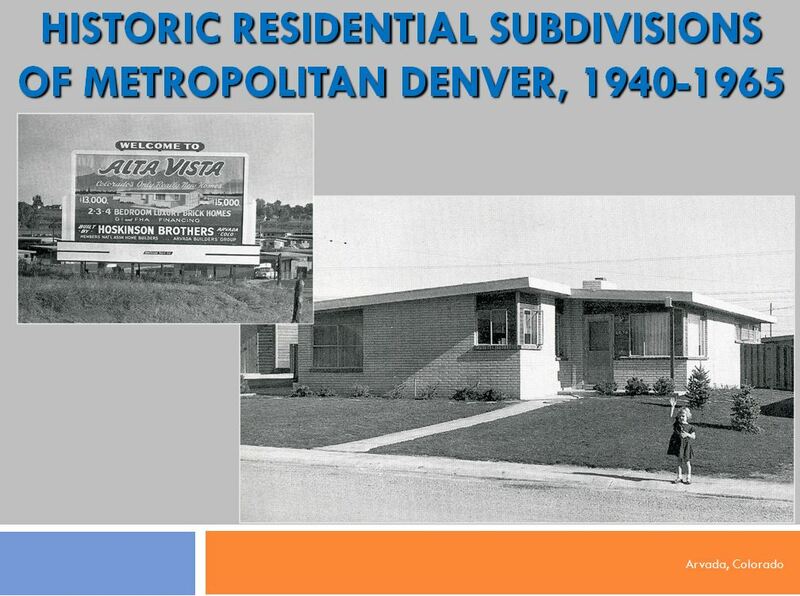 The Denver project used a regional assessor parcel database and GIS technology to shed light on postwar subdivision growth and development in the Denver region. Mary Therese Anstey of Historitecture moderated the session. 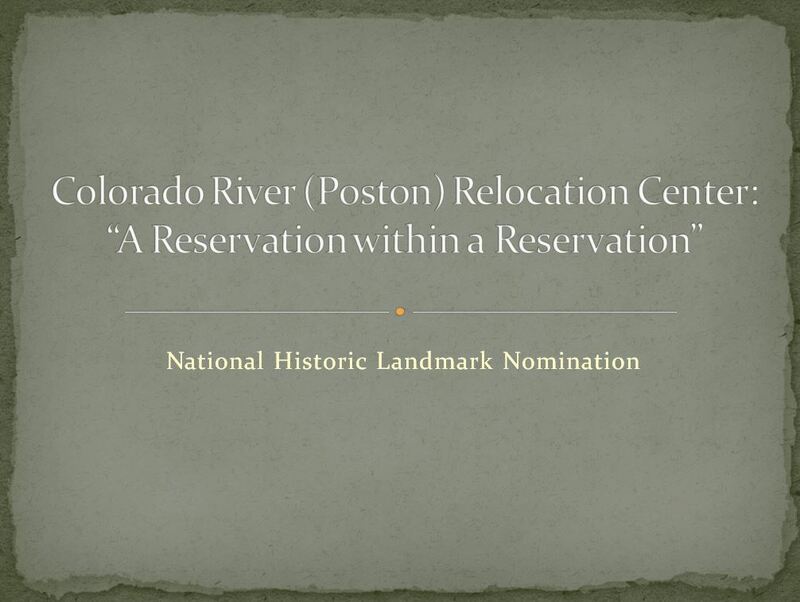 Tom and Laurie Simmons of Front Range provided an overview of the history of the World War II-era Colorado River Relocation Center (Poston), with a focus on the adobe elementary school complex at Poston I. An update on the status of the NHL nomination for the complex also was presented. Carol Griffith of the Arizona SHPO moderated the session. Tom Simmons of Front Range provided an update and outlined preliminary data emerging from the ongoing Historic Residential Suburbs of Metropolitan Denver MPDF project. The project used a regional Assessor parcel database and GIS technology to help understand postwar subdivision growth and development in the Denver region. Alice Gilbertson of Historic Denver moderated the session. Colorado College in Colorado Springs has published "Colorado College Historic Building Walking Tour." The booklet profiles the thirteen college buildings currently listed on the National or State Registers. Front Range historians Laurie and Tom Simmons developed the building narratives and identified historic images to be used in the publication. The project was funded in part by a grant from the State Historical Fund. Take a virtual walking tour here. 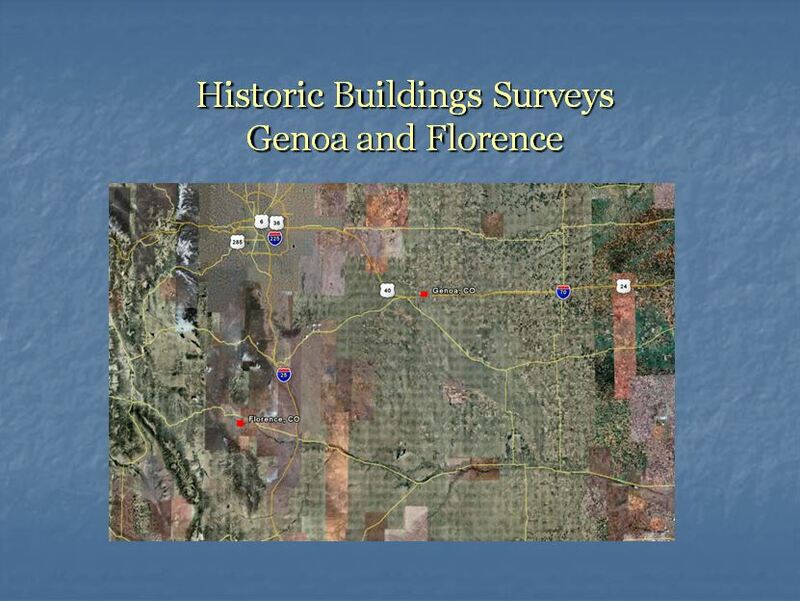 Tom Simmons of Front Range presented the results of the Florence and Genoa, Colorado, elements of the Small Town Survey Initiative at the Colorado Preservation, Inc., conference in early February. Mary Therese Anstey moderated the "Small Towns, Mighty History" session. East Colfax Avenue, Historic Denver Guidebook Historic Denver's East Colfax Avenue guidebook was published in late 2007. Tom and Laurie Simmons researched the book and wrote the narrative. Kathleen Roach performed the photography for the publication. "Guns, Fire, and Sheep: History and Archaeology of the Trujillo homesteads in the San Luis Valley, Colorado"
Laurie Simmons of Front Range and Marilyn Martorano of RMC Consultants authored this article, describing the homesteads of Teofilo and Pedro Trujillo and cattle and sheep conflict in the valley, published in the Fall 2007 issue of Southwestern Lore. The Pedro Trujillo Homestead was listed in the National Register of Historic Places in 2004, and both homesteads became a National Historic Landmark in 2012. 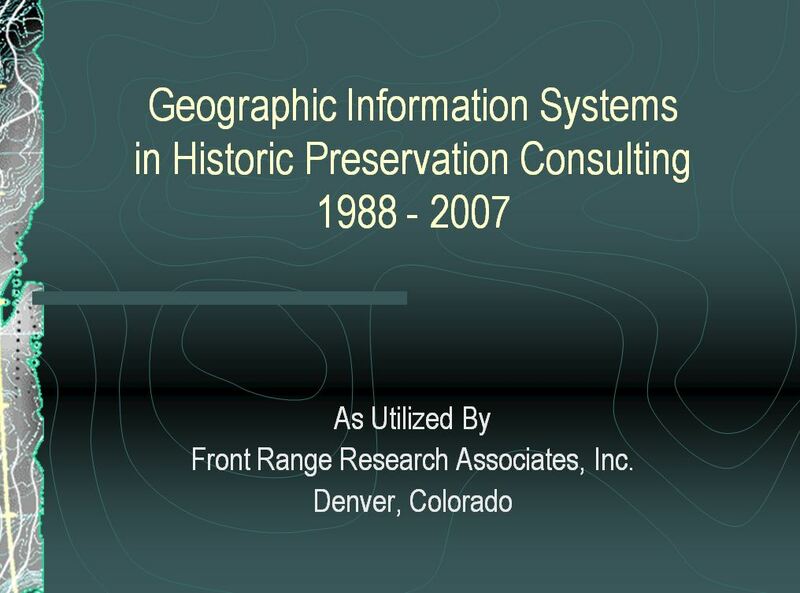 Tom Simmons of Front Range traced the history of the firm's use of computer mapping and geographic information system technology in historic preservation consulting applications from 1988 to 2007. He discussed how software and hardware have evolved and how the technology is used in historic building surveys, National and State Register nominations, and historic context documents. Tom Simmons of Front Range and Bruce Hanson of the Denver Public Library, Western History and Genealogy Department, discussed techniques and sources for researching historic urban neighborhoods. "The History of Fitzsimons Army Medical Center" R. Laurie Simmons supplied a forty-page history of Fitzsimons Army Medical Center included in a commemorative publication: Fitzsimons Army Medical Center: The Life and History 1918-1996 (1997). Fitzsimons, in Aurora, Colorado, served as an important regional military installation until inactivation in 1996. The site now houses the University of Colorado Denver, Anschutz Medical Campus.